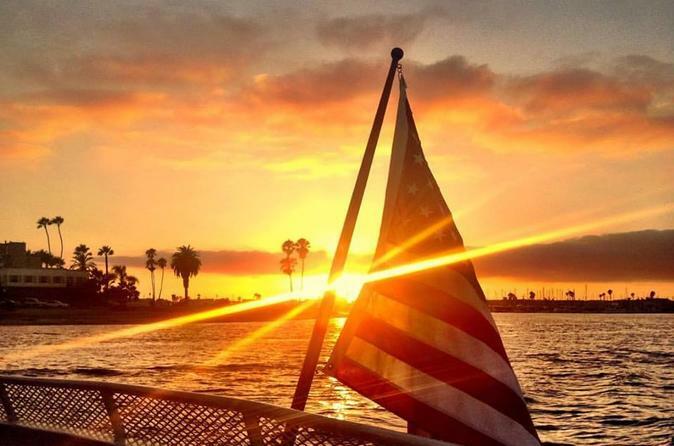 Cruise the coastal waters off San Diego during the sunset on this evening boat trip. Take in epic views of the sun sinking behind the Pacific Ocean's horizon and snap photos of loved ones on the boat's deck. Listen to relaxing music and sip drinks from the open bar to round out the laid-back California ambiance.